"we can do this better"
Astronomical earnings of our glorious corporate overlords. Winners in the great game of “Get Yours.” I’m sure they deserve every penny. 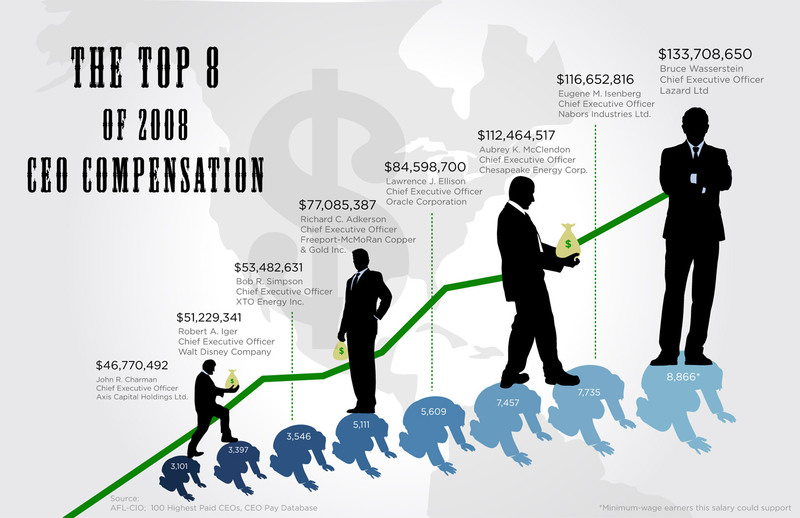 Great infographic depicting the earnings of our glorious corporate overlords. Tagged with Sustainable Business, Top Small Workplaces.